Did You Know DBS Can Also Apply In Your Life? After having Deep Brain Stimulation (DBS) a month ago and enduring the pain and adjustment to the batteries in my chest and wires in my neck, I was reminded of the encouraging promises in Isaiah 43:1-2. It is always an encouragement to be reminded that I am God’s child. I also must remember He will be with me through each trial I face. Did you know DBS can also apply in your life? 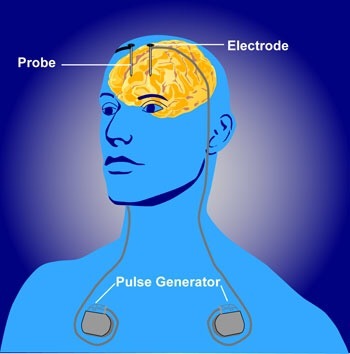 Not Deep Brain Stimulation but Depending Boldly on the Savior. Depending Boldly on the Savior is what we all need to do in our everyday lives. We all depend on someone in our lives to help us get through hardships. We can talk to husbands, wives, parents, pastors, and our friends on Facebook. But there comes a time when we’re all alone and no one can know what we’re going through. But there is One who knows what we’re facing. I’m so thankful I can tell everything to Jesus and He understands. Jesus is ready to listen to all of your burdens. While He may not fix them right away, know that He loves and cares for you. 4 O how the world to evil allures me! Beautiful words Abby. You are one of God’s beautiful treasures. Are you finding that that dbs surgery has been helpful? Blessings to you and your family.